Today only, you can get this HiHo! 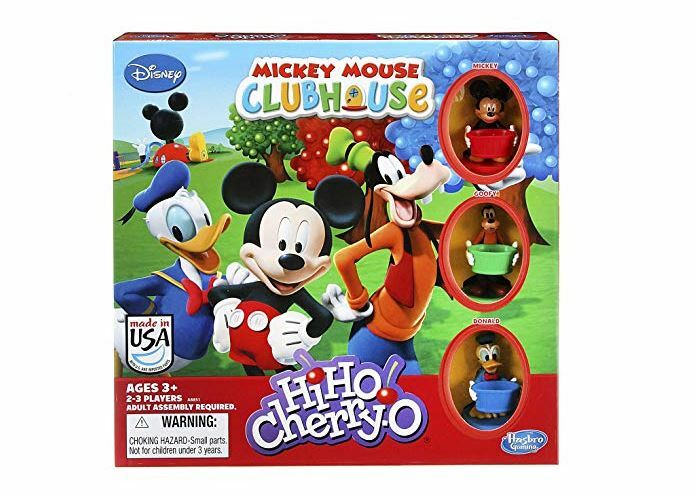 Cherry-O Game Disney Mickey Mouse Clubhouse Edition Game on sale for $11.89 (Retail $16.99). Have a Disneyfied picnic in this Mickey Mouse Clubhouse edition of the classic HiHo! Cherry-O game! Preschoolers have so much fun picking fruit to fill their baskets, they don’t even realize they’re developing and practicing math skills such as counting, addition and subtraction! Everybody picks a Mickey, Donald or Goofy character mover and then takes turns picking pretend cherries, blueberries and apples from their tree. Whoever picks all the fruit off their tree and puts it in their character mover’s basket is the winner! When it comes to a fruity, Mickey Mouse way to sharpen kids’ math skills, you couldn’t “pick” a better game!